The Best Christian Lifestyle Blogs from thousands of Lifestyle websites by Christian bloggers on the web using search and social metrics. Data will be refreshed once a week. 2.6 Living the Sweet Wife - Hope for joyful marriages and healthy lifestyles! Christian Lifestyle newsletter is a comprehensive summary of the day's most important blog posts and news articles from the best Christian Lifestyle websites on the web, and delivered to your email inbox each morning. To subscribe, simply provide us with your email address. England, United Kingdom About Blog ‘Inspired by HIS Words’ is God inspired. My blog is focused on being aspirational as a lifestyle. Aimed at sharing contemporary life issues with a Christian perspective. To create optimism and expectancy. And inspire you to seek a personal encounter with the Giver of HOPE that I have anchored in Christ as I live out my faith today. Facebook fans 1,501. Twitter followers 809. Facebook fans 56,091. Twitter followers 95,524. About Blog Team Jesus Magazine is a digital Christian playbook created to honor God, and uplift and inform the body of Christ. As a playbook, our content instructs, exhorts, and encourages Christian living through practical, actionable, biblically-based articles, news, events, and information affecting the Christian community. Facebook fans 6,507. Twitter followers 2,502. About Blog At iBelieve, women from every walk in life team up to write from personal experience in order to help singles, dating couples, newlyweds, married couples, or widows. Aside from their blog posts, they also have multiple daily devotionals for young women to help them in their relationships with God and others. Facebook fans 1,301,261. Twitter followers 5,617. Facebook fans n/a. Twitter followers 68,818. 6. Living the Sweet Wife - Hope for joyful marriages and healthy lifestyles! About Blog Blogging for Christian marriage advice, relationship tips, & healthy lifestyle inspiration. Facebook fans 2,901. Twitter followers 1,463. Atlanta, GA About Blog Brita Long writes about feminism, relationships, faith, Crohn's Disease, and so much more at this Christian feminist lifestyle blog. Facebook fans 378. Twitter followers 8,418. About Blog As a Christ-follower, wife, stay at home mom, blogger, author, and advanced heart failure patient, my desire is to encourage others in those same roles, through honest and real conversation. May you be inspired to embrace YOUR story of God's grace in your own life, through simple, grace-filled living. Facebook fans 694. Twitter followers n/a. About Blog Hi I am Julie. I struggle every day to raise seven children in the wisdom of the Word, love my husband through the thick and thin of life, provide nourishing meals to a growing bunch, keep a tidy home, and take care of my own needs all while maintaining a close walk with my Abba. About Blog Our Mission at Christian Lifestyle Co. is to make the Word of God come alive. Through our products we strive to express God’s redemptive message of love and inspiration to the world. About Blog Ezer is a lifestyle blog for egalitarian Christian women. Our readers are intelligent and compassionate, interested in the lives of others and engaged with the ecumenical Christian tradition. Facebook fans 198. Twitter followers 412. Facebook fans 3,879. Twitter followers 22,594. Kent About Blog A Christian lifestyle blog centred on faith, fashion & beauty, reviews, musings and my daily life! Facebook fans 498. Twitter followers 1,463. Texas, USA About Blog Small Town Soul is a home for the naturally-minded Christian mama to come and be encouraged about faith, family, and natural living. Pursuing a natural and healthy lifestyle. Capturing memories, moments, and stories. Facebook fans 855. Twitter followers 592. Glendale, AZ About Blog I am a self-proclaimed Christian ambassador, beauty enthusiast, relationship advisor, and a family woman who believes that were placed on this earth to love ourselves, God's Kingdom and others. On the blog, you will find biblical advice on beauty, Christ, and relationships. Facebook fans 217. Twitter followers 393. About Blog I am Allison Marie, the creator of this blog, and I am so glad that you are here! I have a heart for encouraging other girls to glorify God through their lifestyles. I truly want to show you that you can honor God with your lifestyle. As Christian girls, that’s not always easy. But it is possible. Syracuse, NY About Blog Hi, my name is Brenda. I am a Christian, a wife, a homeschooling mom, a daughter, a granddaughter, a sister and a friend. I want to be my Lord and Savior’s tapestry. But for now, I am becoming, I am in the process of becoming, of allowing my Master to weave the various threads of my life into His Masterpiece. The purpose of this blog is to bring the Lord glory by sharing with you, tidbits of my life, to encourage and edify you as we journey along this path called life. Facebook fans 108. Twitter followers 13. About Blog My name is Melanie and I am the creator of Christian Career Girl- the premier lifestyle blog for single Christian women. If you’re a single woman and want to spend your single years in a purposeful, powerful and God centred way then you’ll feel right at home here at CCG! Oklahoma, USA About Blog Welcome to Writings & Worship, I am author and creator Hilary. Writings & Worship is a christian lifestyle blog where you can find a wide range of posts. From beauty to worship, I talk about all of my favorite things. I’ll give you tips and tricks, my latest beauty finds, and a recap on the best worship songs. I incorporate my professional writing skills with some amazing feature stories as well. Facebook fans 528. Twitter followers 793. About Blog I'm Nicki, the FEARLESS blogger behind SincerelyNicki. A Faith builder! Empowering Christians to develop their FAITH and be resilient when life gets hard. My goal is to help you to build your faith in Christ and access all He has promised to you. Facebook fans 712. Twitter followers 1,644. About Blog AICRN is all about embracing and living an extraordinary Christian lifestyle. Come congregate, collaborate, and cultivate. Facebook fans 357. Twitter followers 3,238. DMV (DC, MD, VA) About Blog Positively Gospel is a trusted source for the latest news in Gospel music, Christian music, lifestyle, culture, food, books and as well as reviews and interviews with recording artists and industry movers and shakers. Facebook fans 2,979. Twitter followers 1,208. Barbados About Blog Spiritually Connected Today is a Christian blog designed to help persons heal, grow spiritually and build strong healthy relationships. Facebook fans 336. Twitter followers 287. About Blog Apostolic Girl was founded by our editor, Shenae Huba Andrus, when she was just 16 years old. Apostolic Girl continues to share content both relevant and life changing for teen and college aged girls with the intention of growing and broadening its reach. Facebook fans 3,883. Twitter followers 991. About Blog Slayed & Saved is about Freedom. It’s about Purpose. It’s about understanding that God is real and active in our lives and in our circumstances. Facebook fans 688. Twitter followers 83. About Blog Hey, I’m Tiffani, with an “i”! The Co-founder of Breakfast With Tiffani, a Christian lifestyle blog, created to promote a well-balanced Christian lifestyle filled with The Father, Faith, and copious amounts of Fun! Houston, TX About Blog A lifestyle blog about our family daily life, adventures and fun as our family grows. Our life is like a cupcake, cute, full of icing but very messy! Facebook fans 838. Twitter followers 1,062. About Blog BestForChrist goal is to help our readers to live and grow as Jesus’ disciples not only during sacred moments, but also in everyday life. We do not want to be just “Sunday Christians”, but those who enjoy the love of God on a daily basis, every minute of the day, whether working, resting or praying. Facebook fans 174. Twitter followers 3,478. About Blog Founded in 2017, Lantern of Love is a christian blog dedicated to providing uplifting and encouraging messages to show God’s light of love to all. May Lantern of Love bring you positivity, joy, and peace but most of all love. About Blog Hey there! I am the Christian Prepster. High school student living the Christian lifestyle in a preppy state of mind. I love all things vintage and am a writing enthusiast. I am constantly jamming to some tune… anything from old jazz music to sweet Christian Worship. London About Blog Do Better Everyday blog has been created by Maria aka Maz to encourage others to DoBetterEveryday. The main purpose of this blog is to carry as many people along with her on this journey to becoming better everyday in all areas of life: Spiritually, mentally, physically, emotionally, financially and in our relationships! About Blog My name is Maddy Barr and I am the brains behind this blog. MY mission is to encourage ladies to dive deeper into their faith, foster Christ-centered relationships, recognize their femininity and worth as daughters of God, and spread the faith as active parts of the New Evangelization. About Blog MWestStyle is a Christian Lifestyle/ Fashion blog founded by myself, Muriel West. Being a young adult and a christian in this world is difficult and lonely but I’m here to let you know you aren’t alone. The purpose of MWestStyle is to not only encourage my fellow brothers and sisters in Christ but to share my own personal experiences as well. 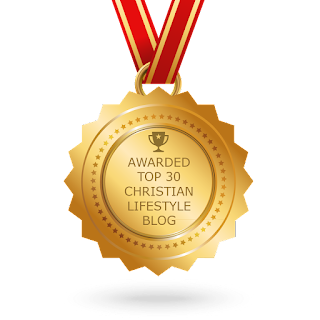 CONGRATULATIONS to every blogger that has made this Top Christian Lifestyle Blogs list! This is the most comprehensive list of best Christian Lifestyle blogs on the internet and I’m honoured to have you as part of this! I personally give you a high-five and want to thank you for your contribution to this world.